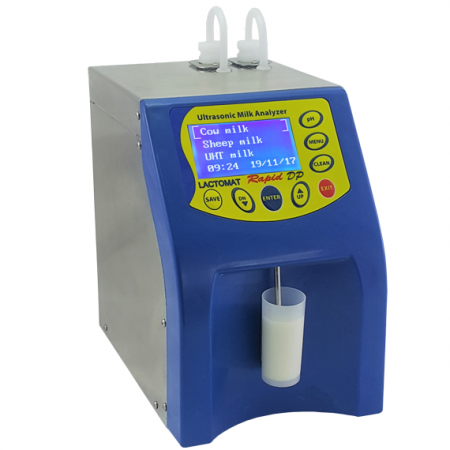 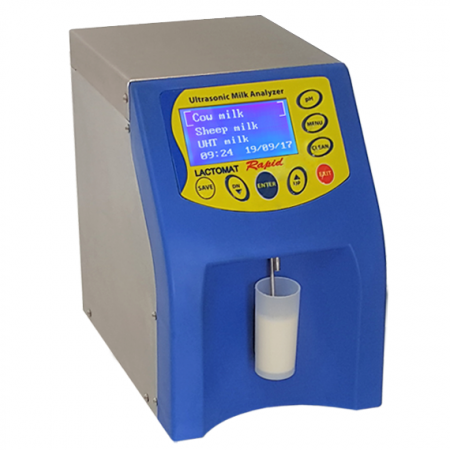 New ultrasonic milk testing machines, Rapid S from the Lactomat series are the fastest high-end instruments used for measuring the basic components of the milk. 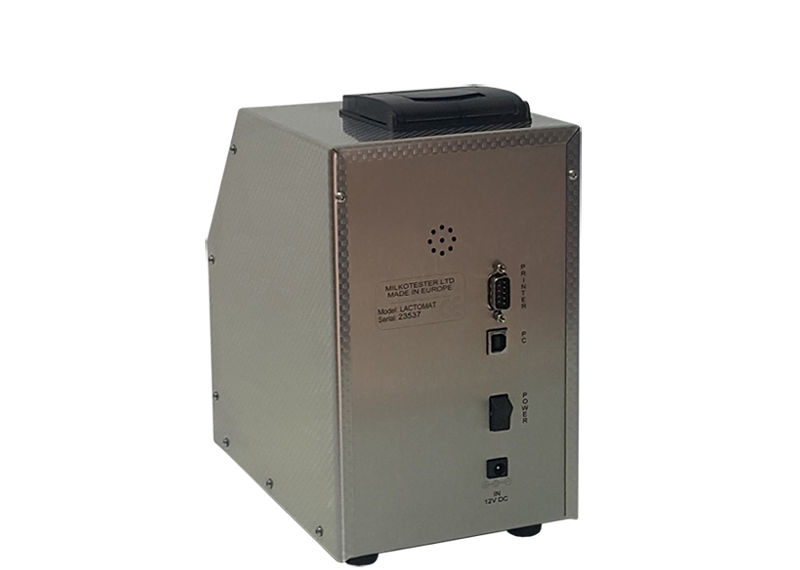 Powered be new generation microprocessor with 20 times more capacity for data processing. 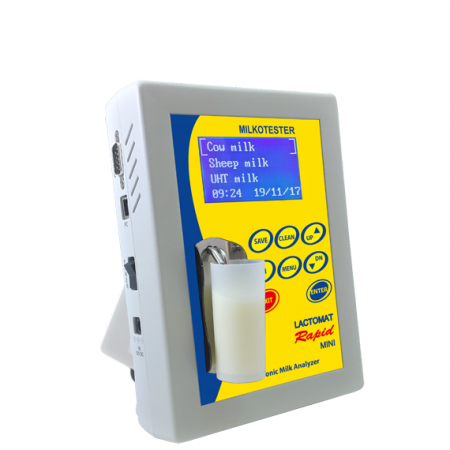 Accurate analysis of the components is carried for 18 seconds for sample temperature 28° C and 15 seconds for 38° C . Milk analyzers Lactomat Rapid are compact devices equipped with double measuring cell and inbuilt ventilation system for prevention of overheating in hot environments. 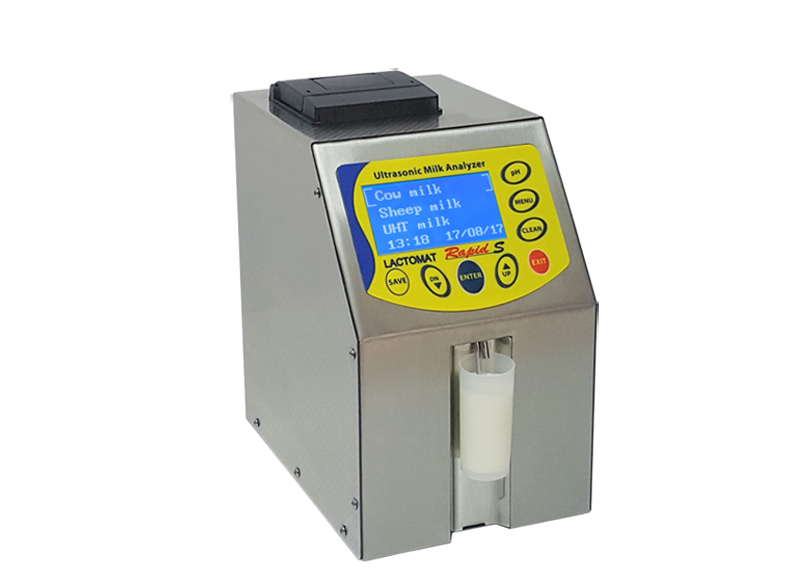 Stainless steel housing. 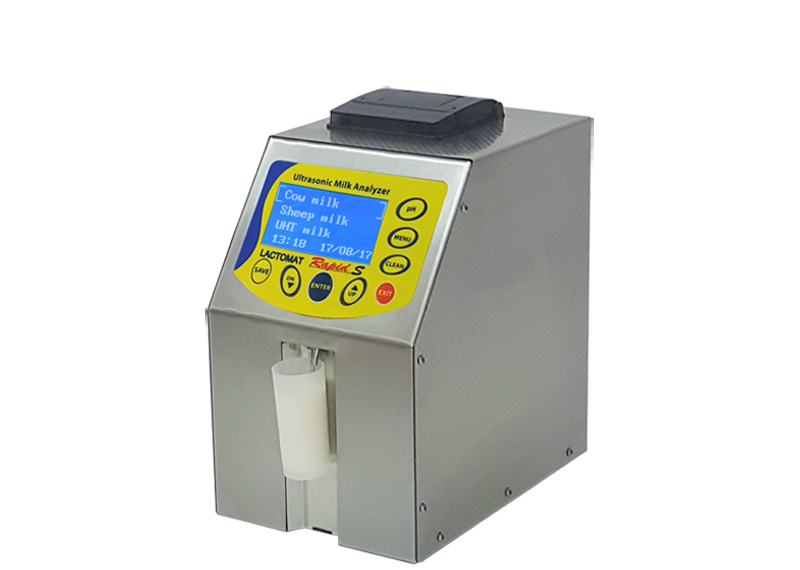 Three calibration channels are available. 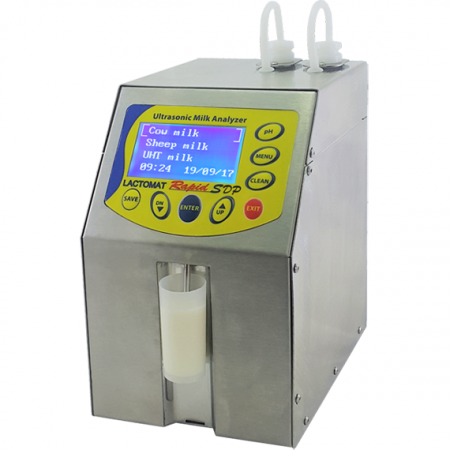 Standard calibrations for milk analyzer Lactomat Rapid S are for Cow milk, Sheep milk, UHT. 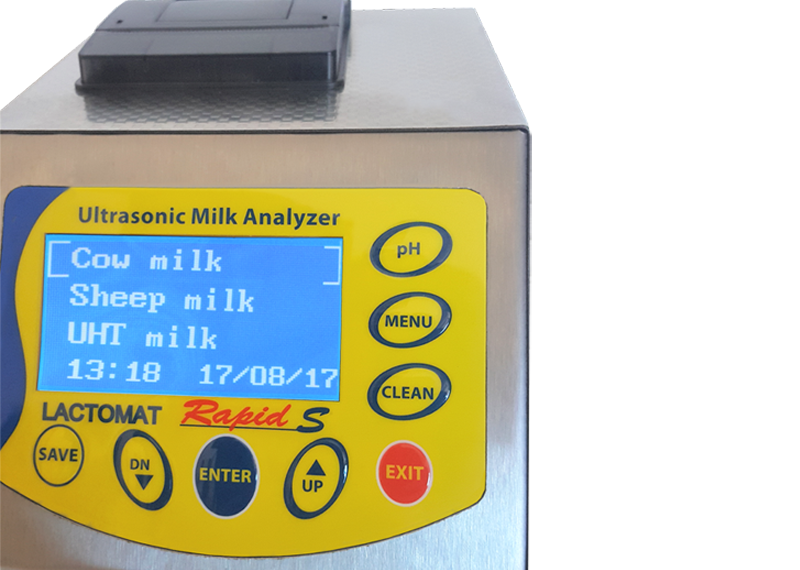 The analyzer can be calibrated also for: Buffalo milk, Pasteurized milk, Goat milk, Mixed milk, Skimmed milk, Whey and other types of milk and milk derivatives.